Psychology is one of the most popular academic subjects in the world, frequently ranking as one of the top five most popular college majors. Yet there are many myths and misconceptions that persist about the topic and the students who study it. People who are unfamiliar with psychology sometimes dismiss it as a pseudoscience akin to astrology. Or they mistakenly believe that students of psychology are all Freudian psychoanalysts. Take a closer look at some of the most common myths about psychology majors to get a better idea of what psychology is really all about. Myth: Psychology majors are mind-readers. Reality: Psychology is certainly the study of the mind and behavior, but this hardly gives psychology students the ability to "read" someone's mind. Yes, a psychologist or even a person with a strong background in the study of human behavior might be able to make some fairly accurate assessments about you. They might be able to understand why you do certain things. They might be able to make accurate predictions about your future behavior. This certainly does not make them psychic. It just means that they have a strong knowledge of human psychology and excellent observational skills. Myth: Psychology majors are psychoanalysts. Reality: Yes, the famed Viennese psychoanalyst Sigmund Freud is still very much one of the most famous figures in the history of psychology. While almost all students learn about Freud's theories, it's mostly for the purposes of historical perspective. Few students are exposed to Freudian training today without enrolling in a psychoanalytic institute. The person most likely to psychoanalyze you is the so-called "arm-chair psychologist" who has little to no background in psychology. Myth: Psychology is an easy major. Reality: Psychology is a challenging subject and not something to dismiss as easy. 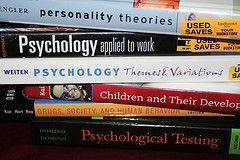 Many subjects within psychology can be particularly challenging, such as statistics, research methods, cognitive psychology, and other areas. Don't let an introductory course in the subject fool you into thinking that majoring in psychology will be a walk in the park. As you delve more deeply into the subject, you will be expected to learn about challenging subjects, explore difficult topics, and conduct a great deal of writing and research. Psychology is an incredibly broad subject with numerous subtopics and branches. With so much to explore and learn, it is a rich subject that lends itself to a great deal of study. Myth: Psychology majors can hypnotize you. Reality: There are certainly psychologists who are skilled in the therapeutic use of hypnosis. Research has demonstrated that hypnosis can be effectively used for a range of purposes, from the management of pain to the reduction of nausea resulting from chemotherapy. However, hypnosis is a specialized skill and not all psychologists are trained in its use. Most importantly, being hypnotized requires voluntary participation, and despite depictions in popular stage acts, you cannot be hypnotized against your will. Myth: Psychology is not really a science. Reality: Psychology is rooted in scientific methods and relies on empirical procedures to investigate the human mind and behavior. Psychologists use the scientific method to conduct experiments, conduct statistical analysis, and report the results of their studies. Some branches of psychology, such as neuropsychology, utilize tools such as MRIs and PET scans to investigate what is happening inside of the brain. Myth: Psychology majors won't be able to find jobs once they graduate. Reality: There are many different areas of psychology where people may choose to specialize and work. The job market for a particular type of job may depend on a number of factors, including where you live, what your educational background is like, and what area you choose to work in. There is a strong demand for people in areas such as mental health and applied psychology, and many of these job pay well. One important thing to remember is that many areas of psychology do require a graduate degree. Psychology is a popular subject, but that does not necessarily mean that it is always well understood. Myths and misconceptions continue to persist, but learning about the truth behind the myths can give you a better understanding of the challenges that psychology majors sometimes face. What do you think are the biggest myths about psychology students?